found in his possession a 9mm pistol with serial number filed off, four rounds and one cartridge. The suspect could not respond when asked who the owner of the firearm was. He was arrested and charged with possession of illegal firearm and ammunition and will soon appear in court. 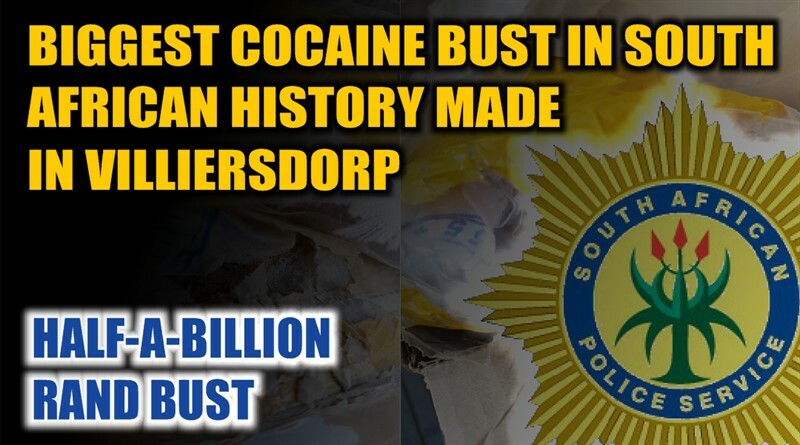 Villiersdorp was the scene of what could be the Biggest cocaine bust in South African History on Wednesday evening.